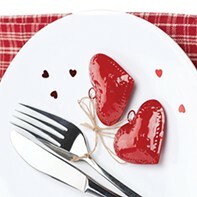 Still looking for a place to dine with your honey on Valentine's Day? If you missed my City Weekly roundup of restaurant dining options you can read it here. However, since that article came out I've received some additional last-minute restaurant V-Day info to share with you. Faustina is offering a $50 four-course menu to tantalize the senses for Valentine's Day, Saturday, Feb. 14. Suggested wine pairings in 2 oz. flights are available for an additional cost of $20. Reservations are required and are available from 4:30 until 10 p.m. Included in the menu are dishes such as pate a choux with caviar; creamy tomato-saffron soup; crab Louie; oysters Rockefeller; lobster-stuffed piquillo peppers; braised Morgan Valley Lamb; grilled beef tenderloin; sauteed scallops with jumbo lump crab; dessert, and more. Finca restaurant will offer a special Valentine’s Day Tasting Menu with five courses for $45 per person + gratuity, as well as a wine pairing or cocktail pairing option that makes expansive use of bubbly for $25-$30 per person. The regular FINCA menu will also be offered that evening. The Tasting Menu starts off with a quick nibble from the chef, your choice of appetizer - either Brussels sprouts salad with Mahon cheese, pecans, and dried cranberry or confit and fried leeks with romesco and farm egg - followed by a choice of main course: either two tapas selections or one platos grandes selection. Choose from tapas like classic fried Papas y Aioli (potatoes with paprika and garlic aioli) or a special preparation of Langostinos: head-on prawn with Alzania, herbs and black sea salt or hearty Albondigas (lamb & pork meatballs, tomato sauce and Manchego cheese), among other tapas choices. Or choose one of the larger platos grandes with options like ancho-citrus brined pork chop with house mustard cider glaze, warm potato salad and watercress; or Carne de Asador: wood grilled hanger steak and chimichurri sauce. After the main courses, you’ll get a bite of citrus sorbet to cleanse your palate before a choice of dessert, either our special Goxua layered cake with cream, custard, chamomile caramel, candied almonds and blood orange pate, or classic Spanish favorite Spiced Churros with chocolate dipping sauce. Oasis Cafe has something special in store for lovers this Valentine's day with a special set price dinner menu that's indulgent, while healthy at the same time. Chef de Cuisine Efren Benitez will offer a four-course dinner menu on Valentine's Day priced at $40 per person, not including beverages, tax or gratuity. The dinner menu features options such as: Hawaiian ahi tuna tartare; endive and radicchio salad; shrimp bisque, pan roasted scallops with tiger prawns, prime rib or chicken cordon bleu; and a choice of decadent desserts. Pago Executive Chef Phelix Gardner, Chef de Cuisine Drew Fuller, and their team have crafted a tantalizing Valentine’s Day menu to delight your senses from first to last taste for $70 per person, plus 20% gratuity. After a savory beignet amuse-bouche, you’ll have the choice of starters: Citrus Pickled Oysters with bitter greens, or French Onion Soup with crostini and Gruyere, or rehydrated Root Vegetables with potatoes and house buttermilk, followed by an intermezzo of Beet Sorbetto. Then it's on to mains where you’ll choose between Veal Shank osso bucco with smoked celeriac puree and gremolata; Sous Vide Mary’s Duck Breast with faro “grits,” wild mushrooms, butternut and natural jus; or Pan Seared Diver Scallops with celery, fennel and Satsuma butter. Dessert is a choice of Petit Tiramisu with Charming Beard espresso sabayon, mascarpone and lady fingers; or Molten Chocolate Lava Cake with Valrhona ganache, red wine reduction, buttermilk gelato and chocolate strawberries. Sommelier Evan Lewandowski is also offering wine pairings for the Valentine’s Day menu for $35 per person. As always, he’s chosen a fun and eclectic selection of wines that will bring out the best flavor combinations in the meal.